Prairies and associated or similar roadsides, fields, railroads, borders and openings in oak forests. The segments of the fruit are more broadly rounded (on both margins) than in D. canescens, with no aspect of being triangular. 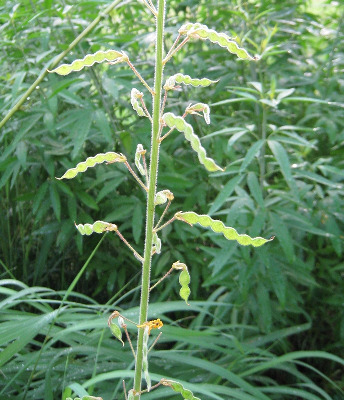 The inflorescences are elongate and usually unbranched. MICHIGAN FLORA ONLINE. A. A. Reznicek, E. G. Voss, & B. S. Walters. February 2011. University of Michigan. Web. 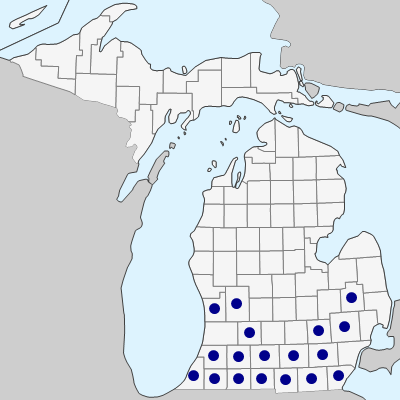 April 18, 2019. https://michiganflora.net/species.aspx?id=1293.